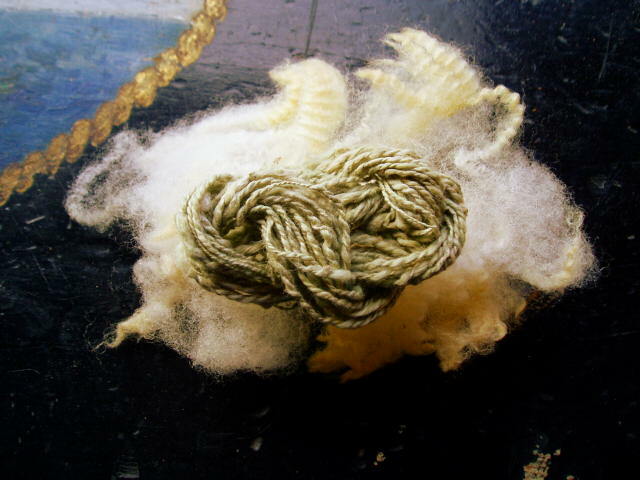 Here’s a sample skein of green cotton 2-ply, spun on my light Hogie bottom whorl. 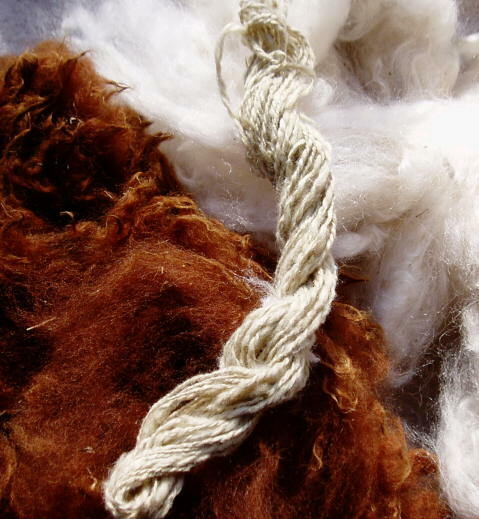 I love that spindle for cotton. Tom is a genius. It is made of cedar and bamboo. This is what the cotton looks like after spending a few minutes in a pot of boiling water. A bit deeper. Lovely soft putty green.